It has always been inquisitiveness for everyone to know and understand the past, long before your birth. The quest for the current settlement and upliftment of many places is obtrusive best after reaping the outcomes of the hunt for records. Sometimes the remnants of past can be the sustainment of the prevailing, to accumulate information of prodigious places and monuments, flip back to the past. Why do people travel? Is that only for a leisure or recreation? Well, for some. But a handful of people long to take a journey in order to gather the significance of a place and its unknown facts, meanwhile they will be unleashing themselves. The thrill lies when we discover a new place and showcasing it to the world. The World treasures hidden secrets, revealing some can benefit the future. Wanderlusts can try out some trip to get informed about the history of a place. One such best expedition will be the Andaman heritage walk covering prominent heritage buildings like Cellular Jail, Police Gurudwara, Police Masjid, clock tower and police temple. Andaman Great escapes, a renowned travel organizer to Andaman will set up Andaman Nicobar Tour Packages, optionally honeymoon. This 3 hours guided walking program can fulfill your quest for gaining knowledge on historic places; this stroll attracts some of the history fanatics. Beyond the white sandy beaches and long stretch islands, Andaman is steeped in history and there were some events that have left their mark of both good and harsh times. The island witnessed great acts of bravery and sacrifice along with courage, atrocity. To get the glimpse of these happenings takes the heritage walk of Andaman’s, covering following places. Just approach your ears to the walls of this famous larger jail, louder cries, and weeping of people can be heard. Political prisoners and freedom fighter were the inhabitants of ‘Kalapani’, the local name was given to the prison meaning dark water, true to its name, dark activities and punishments were once carried out here. Britishers nestled the islands and imprisoned those who were fighting for freedom and justice, thus stories of heartbreaking sacrifice, astounding courage and unbelievable atrocities where a routine news from the walls. Enter the jail premises to find the seven winged prison with a large central tower in middle to watch the inmates. Most of them were lived in isolation and included great famous heroes like Fazl-e-Haq Khairabadi, Yogendra Shukla, Movli Abdul Rahim Sadiqpuri, Diwan Singh Kalepani, Batukeshwar Dutt, and Maulvi Liaquat Ali, Maulana Ahmadullah, Babarao. They suffered harsh beating and force feeding. In 1942, emperor of Japan invaded Andaman’s and took control of the jail, after which Britishers were the prisoners. As a commendable step by Port Blair to promote international tourism, the Municipal council of Port Blair has erected a clock tower. Don’t mistake that the clock tower shows wrong time, there are four watches on each wall to display different time of different time zones. Travelers from states of India visit Andaman and especially, more convenient for those coming from Karnataka as flight charges are extremely economical, thus picking Andaman Tourism Packages Price will ensure you the freedom to watch historic places also. Opting for a historic walk, sight the clock tower located in the heart of capital city of Andaman’s amidst busy Aberdeen Bazaar, popularly known as Ghanta Ghar, a reminder of British era. The local people believe that the clock shows wrong time. This is a Sikh shrine; Gurudwara located in Port Blair and established by Dr. Diwan Singh in 1937, a well-known independence martyr built with wood on a foundation of iron pillars. The islands have Sikh inhabitants, thus this Gurdwara existed to be as the oldest one. During its construction, the shrine gained the assistance and support of people from other castes too and was referred as ‘New Gurudwara’. Currently, it is run by the unique committee including total members of 25 from all faiths viz. 10 Hindus, 12 Sikhs, 1 Christian and 2 Muslims. Gurudwara stands as the token of respect for the truth and righteousness of valiant freedom fighter, Diwan sigh. No such shrine has gathered these much religious harmonies. On the course of heritage walk, come across the Police temple which is the most important tourist attraction. On some occasion, Satsang was arranged, which is the sacred gathering of devotees leading to local cultural diversity. Take a while to watch the structure of the temple. Religious attractions in the historic walk, ages old. Muslims can take prayers. Not included in the list of the Andaman heritage walk, but to collect some rare information on the historical eminence, a visit is must which can be executed on your request. Travel operators will be at your service and responsible for successful Andaman Honeymoon, pick itinerary to visit forest museum also. Wooden artifact and gone past of Chatham saw mill are exhibited. Even some of them can be taken to your home also for a better furnishing. For watching marine biodiversity, enter Samudrika Naval museum, but for understanding the lives of indigenous tribes on the island, an Anthropological museum is set located in Port Blair. Just 15 minutes ride from Port Blair, was once the capital city and housed British administration during the existence of Great Andaman’s. An earth quake has devastated the land completely leaving behind ruin of Church and house of Chief Commissioner. Now, over these, you can find growing vines and serial roots. The British bakery once the largest one is left in dilapidated condition here along with swimming pools, troop barracks. The listed historic places in itinerary will obviously enthrall you, but there are some more that are untouched, dare to go there and dig the past. Bruiser’s presence in the island has reaped many atrocities and now these are cleansed by advanced tourism promotion s of the union territory. India can take pride in possessing such a tolerant place and having much historical significance. We invite people from Bangalore with Amazing Andaman Honeymoon Packages from Bangalore. The Andaman Islands have always been the fantasy of honeymoon couples because of the beautiful beaches and the serene destinations here. But if you want to seek adventure during your Andaman Tour Packages, you will be surprised to know that there are quite some in store for you at the Andaman and Nicobar Islands too. Water sports are the mainly enjoyed adventures in the Andamans. But there are quite some adventures you can enjoy on islands too. There are quite a few options to enjoy the tranquil beaches and the beautiful monuments and museums. There are amusement parks and national parks for the tourists to explore nature and wildlife. There are also options for plantation tours and shopping in the Andaman Islands. Trekking is an adventure all tourists can love while on their Andaman Tour. Since the Islands have thick mangroves and rainforests spread out everywhere, trekking through them is a beautiful and thrilling adventure to experience during your island holidays. Madhuban in Port Blair, Mayabunder, Baratang Island etc. are some popular trekking spots in the Andaman group of Islands. There are many islands in the Andaman Archipelago that are uninhabited. Most of these islands have thick forests and beautiful virgin beaches. You can hire a boat and visit one of the remote uninhabited islands and camp there overnight during your Andaman Nicobar tour packages. Just make sure you check with the authorities for camping permission since some of the jungles are protected and are inaccessible to the tourists. Mount Harriet at Port Blair and Saddle Peak at Dilgipur are 2 inviting reasons for mountaineering. Mount Harriet provides a panoramic view of Port Blair, some of the neighbouring islands and the vast Bay of Bengal. It is enjoyed by most of the tourists on Andaman Trip Packages as a part of the Madhuban trekking. Reaching the Saddle Peak in Diglipur is a little tedious. The mountain is full of trees and huge roots and the path is very steep. If you are travelling during the rainy season it might get very slippery too. But once you manage to reach the peak, you will enjoy the gorgeous view below. It will be worth every effort taken to reach the Saddle Peak. India has only one live volcanic centre and that’s at the Barren Island. The island has many live and dead volcanoes and is uninhabited except for some goats, rodents and bats that manage to withstand the extreme conditions prevailing in the island. There’s hardly any greenery here because of the hot lava and smoke coming out from the few live volcanoes. You can visit Barren Island on your Andaman Nicobar Tour by boat or by seaplane. The view from the plane will be bewitching, you can see the black island amidst the sparkling turquoise sea that surrounds it. Tourists are not allowed to disembark in the island. They can visit it from a distance. The sea around the island is ideal for scuba diving and many people hire a boat from the Havelock Island and anchor it nearby to enjoy the sport. Limestone caves are nature’s exhibit of colours. At Diglipur, the visit to limestone cave includes a boat cruise through the creek covered with mangroves and a small trek through the jungle after which you will reach the caves. At Baratang Island too, you can visit the limestone caves that are located near the beach. It is a popular part of Andaman and Nicobar Tourism in these places. To reach most of the islands around Port Blair, you have to travel through shallow sea by boat or Dingi. But the most thrilling part of Andaman Tourism Packages will be to travel a little deeper into the sea on fishing boats. Make sure you take permissions from the authorities or else, you will be in big trouble! Exploring a sea cruise will be an incredible adventure to experience during your Andaman holidays. Snorkelling is definitely one of the most enjoyed water sports in the Andaman Islands. Most of the beaches have the options for snorkelling. If you want to explore the most colourful corals and marine life during your Andaman Tour Packages from Kolkata, Jolly Buoy and Red Skin are the perfect places to enjoy Snorkelling. The best part about snorkelling is that if you have no idea about swimming, it becomes all the more thrilling! You can hire the gears from the beach and explore the vivid underwater marine life in the shallow sea with the help of snorkelling guides. Scuba diving requires you to go through a small training which you can do during your Chennai to Andaman Tour Packages. There are many training centres where they help you out with the very basics and you can also hire the gears and the services of the diving instructor. Because the islands are not very populated and are eco-friendly, the sea remains unpolluted and the coral reefs in it flourish in all shapes and colours. The crystal clear sea makes scuba diving quite enjoyable even for the novice tourists. Seawalk is definitely one such experience you cannot miss while on your Andaman packages from Kolkata. It is as exciting as or even more exciting than a jungle trek. Can you ever imagine yourself walking on the seabed, deep inside the sea? Experience it for real during your Andaman tours! If you think that the seabed is very dull and dark, see for yourself how colourful and exciting it actually is! This is an adventure to be experienced and not explained. So pack your bags to Andaman Islands and experience the inner secrets of the sea. Most of the beaches in the Andaman Islands offer beach rides of various types. The Banana Boats are the most exciting of all. The bright yellow coloured banana-shaped boats are enjoyed by every tourist who enjoys a boat ride. It is a part and pack of Andaman Nicobar tour packages from Chennai. Then there are the paddle boats, motor boats, regular passenger boats, glass-bottom boats and speed boats to ride in the sea. The local Dinghies can be quite exciting as they are made of wood and are quite old! You will miss the hi-tech equipment in the boat, but can learn a lot of interesting stories about island from the locals travelling along. It will give you a totally different perspective of the islands and the islanders. Then there’s the creek cruise which is as exciting as it is calming. You will get lost in the beauty of nature all around you while boating through the creeks. Enjoy a creek cruise at Baratang Island. Surfing is a popular beach activity during the Andaman Honeymoon Packages from Kolkata. Even though many beaches here have provisions for surfing, the best place to enjoy this sport is the Little Andaman Island. The Butler Bay beach and the Kumari Point are popular surfing points here. In case you have no clue and still want to enjoy the sport, you can get help from the surfing school here from where you can learn the art and techniques of surfing and also rent the gears required. It will be a splendid way to enjoy the holidays far away from the crowds. Jet Skiing is another thrilling water activity you can enjoy on your Honeymoon Packages from Chennai to Andaman and same as Kolkata. 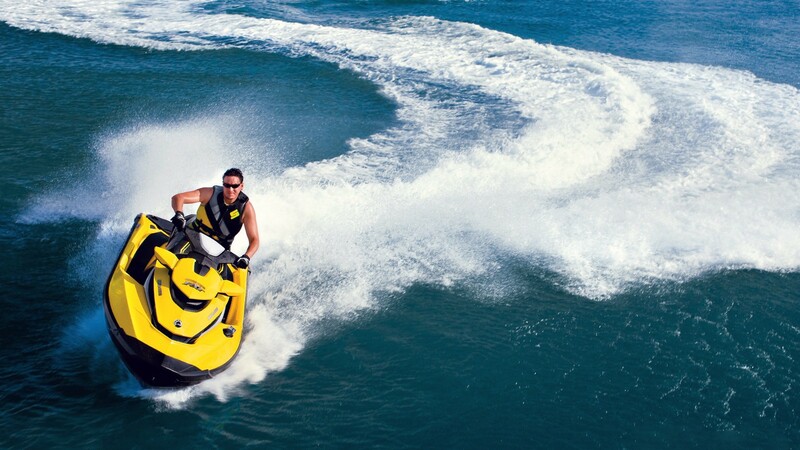 Check out the options at Andamans Water Sports Complex at Port Blair for Jet Skiing.